We provide a rich library of animated and interactive lessons. All the lessons are fully narrated and come with printable student notes. Formative assessment intertwined throughout the lessons in the form of a student self-check. Summative student practice is available for each lesson and unit. Whiteboard and graphing calculators are intuitively integrated within the platform for easy access while working on the course. All work completed on the whiteboard is saved for later use and can be downloaded to your machine or emailed to your instructor. Students and teachers can customize their course pace based upon their start date and end date. Reschedule pending tasks at a click of the mouse. Customize the days you wish to work on the course. Early warning student for students, parents, teachers and administration that have fallen behind. Our Learning Analytics Platform (LAP) provides the student with the ability to analyze their performance and customize their resolution. Teachers and administration can perform micro and macro analyses of student performance and progress with relative ease. Communication enables teachers and administration to communicate with one or many students and parents with a click of a mouse. Our platform provides easy to customized courses from our large repository of learning objects. With a few clicks of a mouse, you can customize a course that meets the needs of your students. This feature is valuable for teachers to create adapted, advanced or enriched courses to their liking. Our Learning Analytics Platform has a responsive design and is cross-platform. Our Content will play on any device (MAC or PC) without the need to download any plugin. 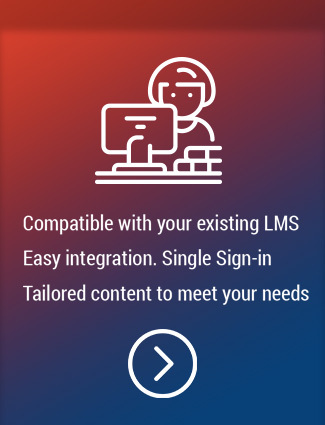 Our platform is compatible with any learning management system using Learning Tool Interoperability (LTI). We provide our users with a single sign-on experience without the need for any plugins. 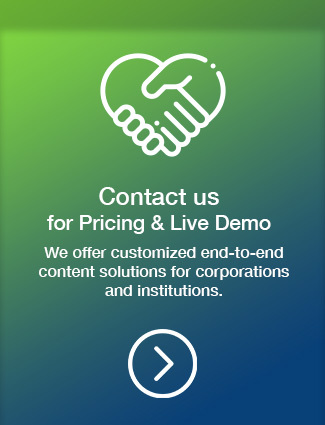 If our content does not meet your needs, we can tailor content to meet your needs. Feel free to contact us to discuss your requirements.